In my second year of university, I had a subject called Organisational Management. Each class had to form its own ‘organisation’ to complete a project for the semester, by assigning roles, creating a hierarchy and distributing tasks accordingly. However, with the kind of arrogance that only a bunch of 20 year olds can muster, we decided it would be far more equitable to take turns in being CEO. This was possibly the worst decision we could have made – our class spent so much time arguing that we barely got anything done. If the true purpose of Organisational Management was to teach us how important a considered structure is to the success of a team, then it was very effective. Your team needs structure. How you want to approach that is up to you, and should ideally be informed by a number of factors, including the size, culture and goals of your team. Valve Software, the company behind popular game franchises Half-Life, Counter-Strike and Portal, has been a curious case study in almost every organisational management textbook since 2012, when it released its employee handbook to the public (you can view it for yourself here). In a section titled ‘Welcome to Flatland’, the handbook explains how, at Valve, their organisational structure is completely flat. It’s important to recognise that ‘flat structure’ and ‘no structure’ are not synonyms. Valve employees choose which projects they’d like to work on, and are allowed to move between projects as they see fit. In fact, desks at Valve are on wheels, enabling employees to move easily between teams. People step up to take on the different tasks required to complete each feature or game, rather than being handed titles. It’s a system that relies on all team members having similarly held beliefs and expectations, but for an innovative company like Valve, it works. It’s clear that, for Valve, a flat structure is what works best for them, as it helps foster innovation and creative freedom. 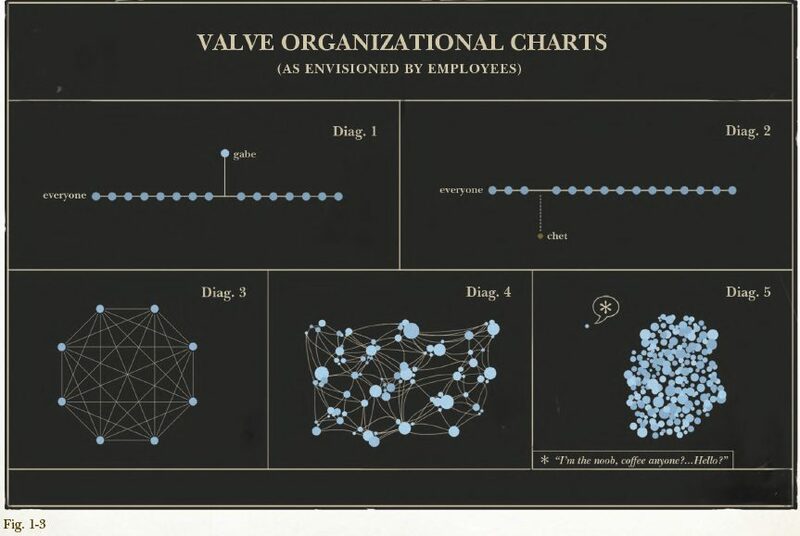 While Valve’s progressive approach to organisational structure is has been hailed by many as the way of the future, the company itself acknowledges that this approach doesn’t suit all organisations or teams. There are any number of ways you can structure your team. You may want to implement a ‘flat’ structure like Valve, a traditional hierarchical structure, or something in between. The important thing is that you consider team structure upon forming your team, and that you choose one that promotes accountability and action. Ento’s workforce management supports up to five levels of management and reporting hierarchy, which means that, no matter what your organisational structure looks like, you can stay on top of how your business is looking. Read more here. Don't worry, your email is never published nor shared and is kept safe with us! No limitations, no catches, no credit card required.